Weekend Wants: The Limited Skirts and Dresses. How is your weekend going so far everyone? 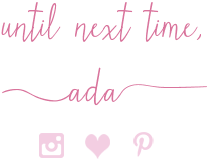 I am still doing a shop-your-closet September and staying away from my favorite stores this month, but one can dream of pretty clothes for their closets right, especially since a new season just knocked in our doors. I hear you Fall. I call it "Wishful Shopping". So here are some "Weekend Wants". But, speaking of the weekend, after 3 years I had another pumpkin spice latte and it was OK. I shared that with you guys, over on Instagram. I know this is such a popular Starbucks drink and among bloggers but I am not that impressed. I prefer a chocolate mocha. I won't be rushing to get another one soon. I do like pumpkin but as a pumpkin pie, in my Fall decor and of course dry salted pumpkin seeds. 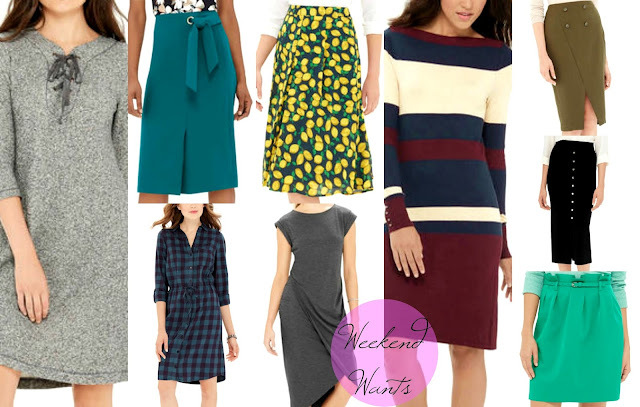 This edition of "Weekend Wants" is brought to you by The Limited, no not a post sponsored by them though I wish. Hopefully The Limited reads this and contacts me because I am and have been their #1 fan for over a decade and a half, now. First of all, that lemon midi skirt, I have wanted that beauty in my closet since it first came out a couple of months ago. It is now on sale and I will make it mine. It is the perfect Summer-to-Fall skirt. It will be my first lemon-print item and I adore it. As you all know I am a huge fan of dresses and skirts so these 9 coveted items all fall under this category. The Limited seriously has the best skirts right now. I have wanted a bright green skirt for a while now. Do I get the teal with the knotted belt or the kelly green pleated mini? Probably my favorite on this list is the stunning olive military skirt. The color, style, length and buttons make it perfect. All of the dresses I featured are perfect for Fall too. I am especially loving and wanting the soft grey knit laceup dress and the colorblocked navy/cream/maroon dress which will both still be warm come Winter. What are you up to this weekend? What are you shopping for? Here is my other recent edition of "Weekend Wants".